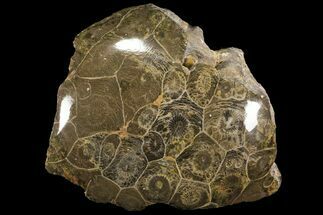 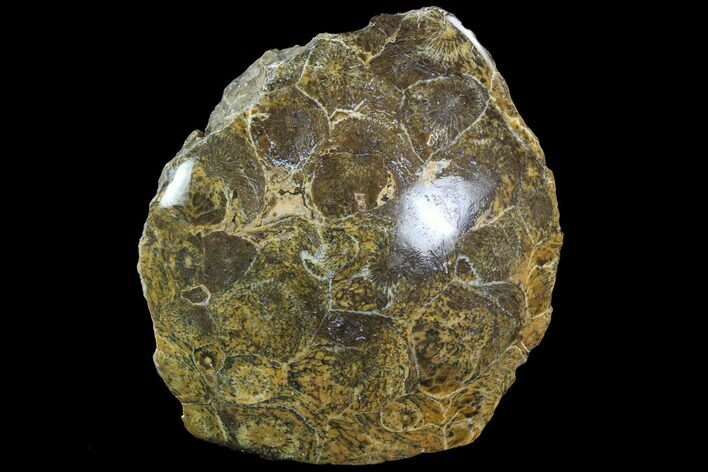 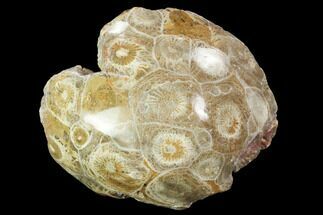 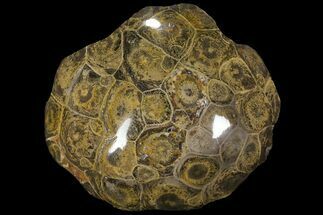 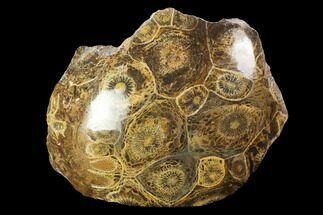 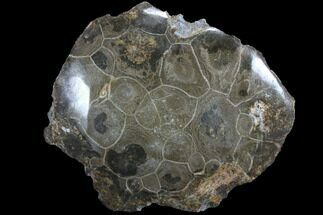 This is a polished fossil coral colony quarried from near Assa Zag Morocco in the Western Sahara. 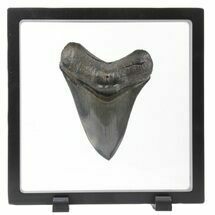 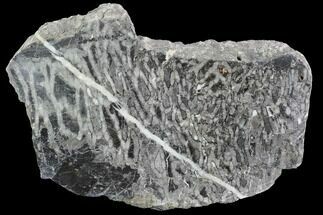 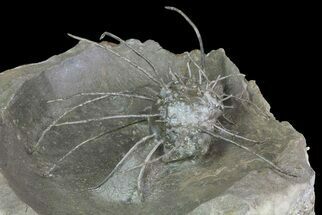 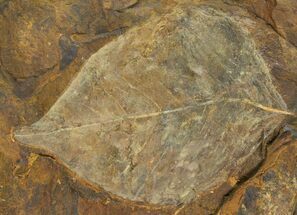 The genus appears to be Hexagonaria and it would be Devonian in age, 350-400 million years old. 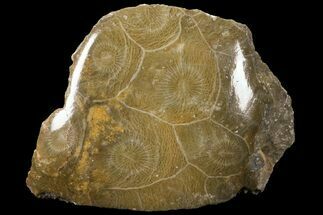 The polishing allows for the beautiful, inner structure of the coral colony to be seen.